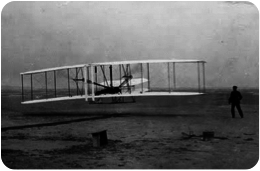 The Wright brothers gave the world the foundation to modern powered flight just over one hundred years ago when their delicate wooden framed aircraft took to the skies from the wind-swept coastal dunes of Kitty Hawk, North Carolina. The global air transport system that their Flyer enabled has undoubtedly been of great benefit to the advancement of humanity. In recent years the scientific forecasts of the major real world hurdles facing our civilisation over this coming century around climate change, energy security and natural resource degradation; collectively referred to as the sustainability grand challenge, are slowly becoming understood by the mainstream public. As a result of this grand challenge it is apparent that the air transport system must rapidly evolve in order to continue to be fit for purpose, especially if we want continued stable growth in the long term. The Sustainable Sky Institute works to facilitate and illuminate a clear and feasible path for aviation through the ominous oncoming storm. Able to be maintained at a certain rate or level for eternity. The precise timing of global fossil crude oil exhaustion is impossible to accurately forecast due to numerous variables, including but not limited to; potential for major new discoveries (though widely agreed to be significantly diminishing), changing demand, secrecy of national reserve magnitudes and artificial pricing factors. For our purposes we can use the metrics around worldwide proven reserves of fossil oil to triangulate on a ballpark indicator. Proven reserves are those conventional and non-conventional resources that have a greater than 90% confidence factor of being recoverable with existing technology if they were required under the present economic and political conditions. The IEA states in its World Energy Outlook 2010 report that proven reserves of fossil oil worldwide at the end of 2009 were around 1,354 billion barrels. Around 70 percent of these reserves are in OPEC countries. Whilst at first glance it may make sense to take the proven supplies figure and divide it by an annual consumption rate in order to reach an accurate minimum time to exhaustion of proven reserves, unfortunately even this is not that simple. This is due to three things; firstly, the oil demand is increasing year-on-year, secondly the definition of ‘proven’ is flexible as none of the OPEC countries have had their reserves independently verified and thirdly it is widely agreed that inexplicable irregularities indicate significant overstatement of reserves. Despite this the International Energy Agency reports that global oil consumption is around 90 million barrels per day in 2010. Assuming consumption has levelled off (which it has not, which would decrease the outcome figure) this methodology gives mankind around 41 years of proven fossil oil reserves remaining as of 2010. Due to the lack of oil reserve transparency by OPEC nations there is room for this minimum time to exhaustion figure to be less. There are a number of self-interest motives for OPEC to be vague about the magnitude of its oil reserves, mainly so that it can influence the understanding of the resources’ scarcity and in turn influence long term oil pricing; too high and alternative energy sources will become more competitive and come online sooner, too low and it will leave revenue on the table – it appears they are trying where possible to artificially maintain the optimised price between US$90-$150 per barrel in real terms as suggested in OPEC’s World Oil Outlook 2013 report. Super Major BP states in its 2014 Statistical Review of World Energy that global proven reserves of oil were sufficient to meet 53.3 years of current production. The US Government Energy Information Agency believes that as at 2013 there are sufficient global proven reserves of oil to meet 49.9 years of current production. All three of these sources assumes that production has levelled off which it has not. In fact, over the past 20 years it has increased an average of 1.3% annually - assuming this trend continues would reduce these estimates. The BP 2014 Statistical Review of World Energy further calculates that there are a total of 1,687.9 billion barrels of oil in the global proven reserve (sufficient for 53.3 years by their calculations). The US Government Geological Survey (USGS) estimates there are only an additional 565 billion barrels of oil around the world that are yet to be discovered. All in all, this helps us to understand that based on available figures, conventional fossil oil exhaustion is both possible and feasible to occur within our lifetimes, in about 50 years. Based on this data there exists an intuitive understanding that this ballpark figure could be reasonably accurate up to plus 30 years to minus 10 years if the business-as-usual trend continues. Looking across the data and around our world it is obvious that the golden era of ‘easy oil’ is over. The conventional forms of fossil oil have almost universally peaked and are heading towards depletion leading producers to increasingly seek to exploit their choice of Next Best Alternative; the unconventional fossil oils. These are the inherently higher-risk and more difficult to access fossil oil reserves and include those found in the deep-ocean, Arctic, tar sands and dregs of old oil wells. Due to this heightened difficulty and risk they have a much higher economic, social and environmental cost per unit of energy recovered. In fact, the energy return on energy invested (EROI) of some types of unconventional oil sources, such as Canadian tar sands, in certain cases takes almost the equivalent energy of one barrel of oil to recover just one barrel of oil (1:1), this is a long way from the favourable 100:1 oil production ratios that were achieved by the worlds most productive Texas and Saudi oil fields during the golden era early last century. These diminishing returns are increasingly unfavourable to the oil Super Majors. The net energy output ratio must always be positive for extraction to be at all worthwhile from an energy or pure economic perspective. The fossil fuels industry receives about $1.5 billion worth of government subsidies globally each day to support this situation, according to the UN International Energy Agency (IEA), vastly more than the renewable energy industry. The IEA says that in 2013 global fossil fuel subsidies totalled $548bn, while those for renewables amounted to $101bn, five times lower. 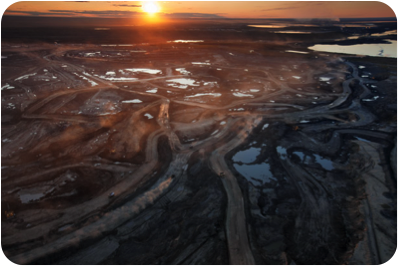 The International Monetary Fund says the total subsidies for fossil hydrocarbons is actually nearer $2 trillion. The IEA says that the global phase out of fossil-fuel subsidies would be one of the cheapest and easiest ways of supporting the desired transition to renewable energy. However, rather than themselves turning towards renewable energy at this point in history, the fossil fuel industry is starting to think about converting gas and coal into synthetic crude oil on a massive scale, a result that would also be unsustainable for both them and the wider world. For reference globally there are 57 years worth of proven natural gas reserves and 115 years worth of proven coal reserves at present consumption rates according to the US Government EIA. Nonetheless, the end will likely come for fossil fuels well before resource exhaustion for we cannot drill our way out of the climate challenge that we face. The International Energy Agency stated in its 2012 World Energy Outlook that “no more than one-third of proven reserves of fossil fuels can be consumed prior to 2050 if the world is to achieve the 2°C maximum global warming international goal”. Historically, the International Energy Agency has maintained a reputation for an institutional bias towards supporting fossil energy sources, making this statement even more powerful. This sets expectations that a global cap on emissions is inevitable. Citigroup, one of the worlds largest banks, agrees that the concept of unburnable carbon is not an “if” but a “when” and advises investors to seriously consider the implications of this risk. A fossil fuel divestment movement is emerging into the mainstream, this includes universities and major faith based organisations such as the World Council of Churches. Along these divestment lines, the original oil baron family dynasty itself, the Rockefellers, announced they would be divesting from fossil fuels, which may indicate a divestment tipping point is nearing. Meanwhile, government regulation around climate change is developing slowly worldwide. 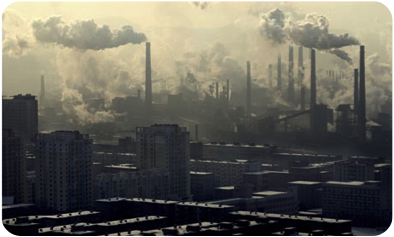 The pricing of carbon, currently a market externality, is needed to most efficiently address this market failure. Indeed a delicate but steadying hand of government regulation will help to reduce economic, social and environmental volatility around this issue. As Abraham Lincoln put it, “The legitimate object of government, is to do for a community of people, whatever they need to have done, but can not do, at all, or can not, so well do, for themselves – in their separate, and individual capacities. In all that the people can individually do for themselves, government ought not to interfere”. The markets and people have shown that whilst the needed technology largely exists to deal with climate change it is not being implemented rapidly enough to prevent a climate catastrophe, thus the need for government action. Many major businesses are starting to slow their financial backing for the dishonest and unethical industry lobby groups that work to create doubt about mainstream climate science in favour of fossil fuels, whilst other businesses, particularly those invested in the fossil fuel sector, are stubbornly doing the opposite to fight change at all costs. An analysis by the US-based Center for Responsive Politics showed that companies are spending more than $400,000 a day to lobby the US government to prevent legislation and binding agreements proposed to reduce carbon emissions. Arguably, an industry in a capitalist economy should absolutely compete until right up against the rules of the game to extract the maximum value for their shareholders without overstepping these laws. However, an industry should not fight with the regulation umpire when the rules are changed in the best interest of the community because it simply cannot win in the long term, just as others such as the asbestos, slave and tobacco industries discovered before them. The fossil fuel lobby has attempted a ‘born again’ approach in recent years arguing it would be morally wrong to deny developing countries their energy security. 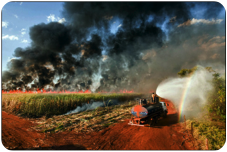 This represents the fossil fuel lobby attempt to battle on moral grounds. However, unfortunately for those lobby groups this is where they are at their weakest. Most people find it is very difficult to take seriously the fossil fuel lobby's newly found concern for the poor or disadvantaged. The history of mining companies' disregard for indigenous rights and the polluting effects of their industries for local populations is well-documented. With this hindsight, it could be suggested that to protect their long term business interests and court favourable public opinion on moral grounds they should have behaved better at the outset and shown community care above profits. Understanding these issues makes it clear that the fossil fuels industry is no longer worthy of government subsidies or long-term investment. 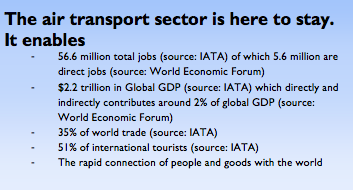 Whichever way you look at it, fossil fuel for the air transport sector will inevitably tighten over this century. Despite a symbiotic relationship, as a business, the fossil fuel industry does not, and cannot, care about the long-term success of the aviation industry whilst preoccupied with its own demise. This is why the aviation industry itself is increasingly taking control of its energy future and looking seriously towards innovation and sustainable renewable alternatives. The Stone Age did not end because we ran out of stone. Airlines annually spend over US$200 billion dollars on traditional fossil jet fuel and consume approximately 7% of global oil production. At present jet fuel makes up around 33% of airline operating costs, a proportion that has been rising steadily over the past few decades. Jet fuel pricing and impacts present a massive challenge to the airline industry and a significant market opportunity for sustainable aviation fuel suppliers. The demand market for jet fuel consists of just over one thousand airlines globally with the majority being consumed by only the two dozen largest. This demand is met by just a handful of traditional jet fuel suppliers; mainly the Super Majors. 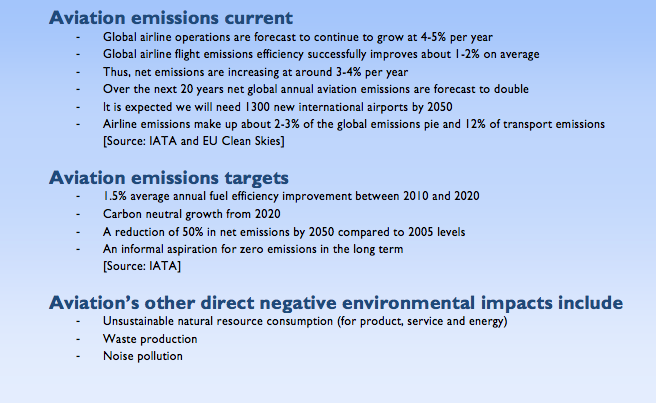 The air transport industry knows that carbon regulation will inevitably continue to increase and traditional jet fuel prices will rise in the long term. The air transport industry also knows that due to its high public visibility that without changing towards renewable energy supply it risks increased community dissatisfaction and in-turn punitive regulation in a way that would restrict growth. For its own self-interest and to be a good corporate citizen, with open eyes the airline industry needs to use its collective market influence to as much as possible push its energy suppliers into proactive action towards renewable energy. It needs to send strong and consistent market demand signals. It is clear that any energy supplier that finds it within themselves to provide airlines with a renewable solution that compared to fossil jet fuel, has equivalent performance characteristics, competitive procurement factors and is at price parity will immediately become the airline industries most preferred supplier. It would be a win-win-win solution that is good for the economy, society and environment. In the words of former conservative Prime Minister of the United Kingdom, David Cameron “there need not be a tension between green and growth”. Whilst ground transport and marine transport has several future energy options beyond fossil fuels the airline industry only has one realistic option (due to the unbreakable laws of physics and to avoid a massive global economic disruption); ‘drop in’ Sustainable Aviation Fuels. 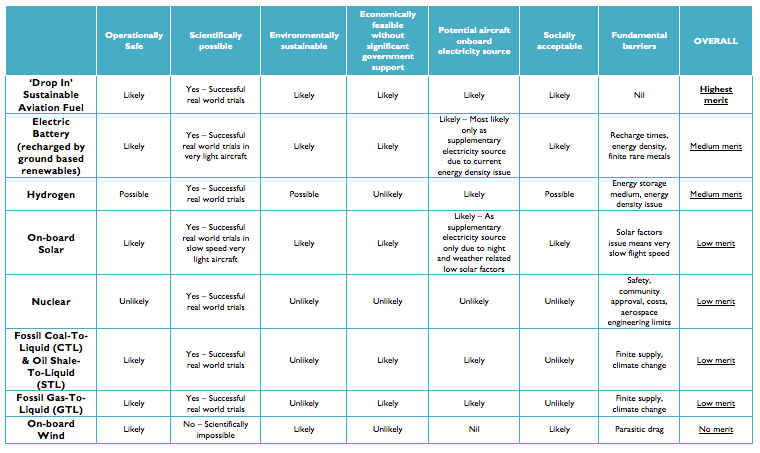 A simple options analysis matrix of all possible future energy sources for aviation confirms this thinking. Let us briefly explore these options. Electric Battery – Electrical storage devices built into aircraft that are recharged on the ground prior to flight using stationary renewable energy sources (such as solar or wind) could theoretically provide an environmentally sustainable power source. Unfortunately, no battery has been developed or is in development that would have the energy-to-weight density required to enable a next generation global high speed air transport network to operate. In this regard, the specific energy values of today’s best battery technology stands at about 150-200 Wh/kg. Battery technologies continue to evolve with higher specific energy values (Wh/kg) though using increasingly rare and difficult to produce metals. Theoretical ‘Lithium/Air’ batteries have the highest potential as realistic future aircraft batteries with proposed energy densities of up to 5,200 Wh/kg. This value is nearing, but still a long way from, the energy density of jet kerosene of 12,800 Wh/kg which is challenging but not in itself a show stopper. Given that the conversion of energy stored on-board to propulsive power is usually about twice as efficient in a battery-electric system compared to a kerosene-turbofan system these could be similar in total thrust effectiveness. However, the consumption of liquid jet fuel during flight reduces the overall weight of the aircraft. This proportionally substantial reduction in weight increases the range of the aircraft. A similar weight reduction does not occur when using electric battery power. Essentially, compared to jet kerosene, batteries are heavy and do not contain much energy thus using them as a primary power source onboard large high-speed aircraft forces a significant sacrifice of range, payload capacity and/or speed. 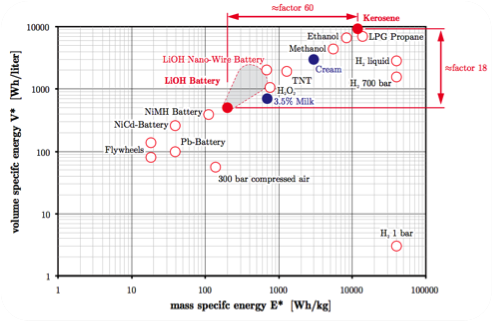 Current battery weight to energy factors would have to improve by a factor of approximately ten to gain any interest from commercial aircraft and engine manufacturers with current trends indicating it will take at least 20-40 years for battery technology to evolve to this level in the lab, assuming it is even physically possible using yet to be invented technology. 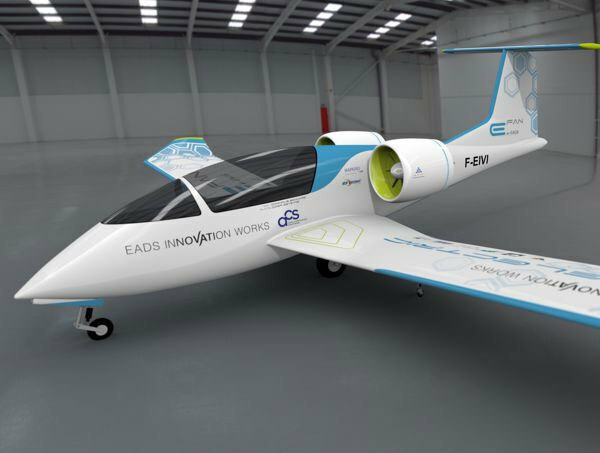 For General Aviation light aircraft, which are much smaller and slower, electric battery power could be a realistic primary energy solution. From a natural resource perspective the adoption and widespread use of electric battery power as a primary power source onboard the worlds airline fleet would require the implementation of significant new earth mining operations for finite rare earth metals (such as lithium) which would likely lead to considerable new environmental degradation issues and possibly in due course the depletion of rare earth metal reserves due to the expected magnitudes required. Small magnitudes of lithium batteries could be used as secondary and backup power sources, such as those found on Boeing 787’s, until suitable sustainable resource alternatives can be found. Aircraft redesign would also be needed, which could provide the opportunity for other energy saving benefits such as the adoption of gimballing electric fan motors. Whilst not discounting the possibility of a game changing breakthrough, in summary this shows that electric battery as a primary power source have medium merit of feasibility for airlines at this time using known and expected technology. Electric battery powered aircraft will probably become increasingly favourable utilising yet unimagined battery technology into the future especially as ground-based renewable-generated electricity costs reduce. This technology basically uses a reversal of the hydrocarbon combustion process; at extremely high temperatures (above 1500 °C) generated by concentrated sunlight, CO2 and water vapour are converted into synthesis gas, which is the basis for production of hydrocarbons with the well-known Fischer-Tropsch process, which is also the basis for biomass-to-liquid fuel. A lab-scale amount of sun-to-liquid fuel was produced in April 2014 at the Zurich Institute of Technology (ETH) in the framework of the EU-funded SolarJet project. The technology is expected to achieve technical maturity around 2035. 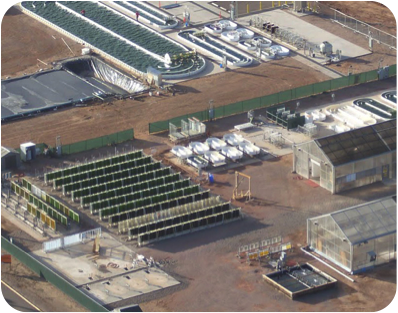 Large arrays of solar collectors capture the energy for this process (with a predicted efficiency in the order of 40 t fuel/ha*year), which is about twice the surface yield of algae fuel and an order of magnitude above today’s energy crops. An important advantage is that otherwise unusable desert land can be used for this process. This technology relies on electrolytic production of hydrogen, which together with CO2 from the atmosphere or from concentrated sources generates synthesis gas that is converted into hydrocarbon fuels also using the Fischer-Tropsch process. With the expected increasing share of renewable electricity and predicted high efficiencies PtL is promising as a sustainable alternative fuel in the mid-to-long-term future (2030s). The PtL process has raised substantial public interest especially in Germany, where a demonstration rig was realised in 2014.
lower payload capacity and/or lower range characteristics. 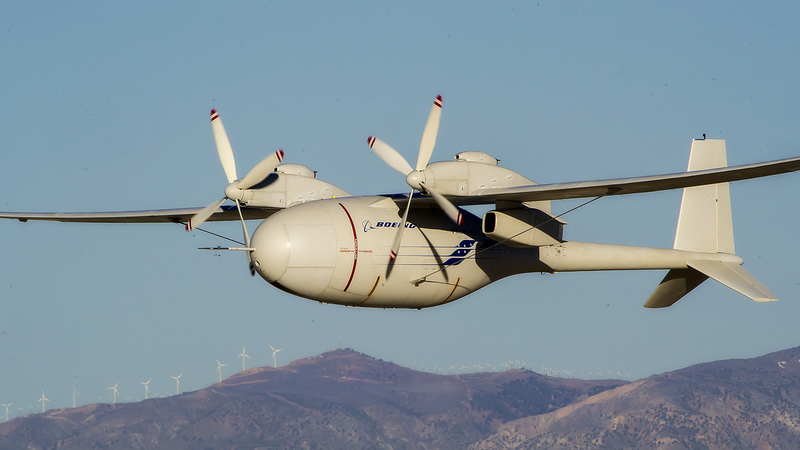 Hydrogen – The concept of using hydrogen as an aircraft fuel source has been floated for many years. Hydrogen can either be directly combusted in a jet engine, or other kind of internal combustion engine, or it can be used to power a fuel cell to generate electricity to power a propeller. The energy density of liquid hydrogen is about four times lower than that of jet kerosene. This would mean aircraft fuel tanks would need to be redesigned to be at least four times larger (volume and weight) to carry an equivalent magnitude of energy. When hydrogen is carried as a liquid it requires cryogenic tanks at around -250 degrees Celsius. 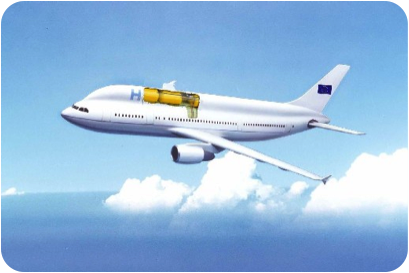 Hydrogen can be carried as a gas in high-pressure tanks (typically 350 – 700 bars) but these are also comparatively very heavy, are voluminously speaking even larger than liquid hydrogen tanks and present an even greater safety risk especially in regard to explosive capacity in the event of an aircraft crash. The Hindenburg tragedy presents an ever-present reminder of the inherent danger of handling hydrogen improperly when mixed with aviation. Technologies are being developed to store hydrogen in solid matrix structures and carrier liquids but this type of solution is a while off. A physical overhaul of the entire global airline fleet and airport infrastructure to enable a switch towards hydrogen would be extraordinarily expensive and challenging without massive government intervention as there is no fundamental upfront competitive advantage for airlines to adopt such aircraft on a global scale. They would be bigger, higher risk, require greater capital expenditure and require new ground handling systems. Renewable hydrogen as a fuel source is in itself an energy storage medium rather than a true energy source. Renewable hydrogen is best produced from the simple process of electrolysis of fresh water (H20). This electrolysis involves running an electrical current through water in such a way that the H2O molecule splits creating hydrogen and oxygen gas. This requires an electric current that can be sourced from a renewable supply such as solar or wind. Today, the majority of the world’s hydrogen is produced as a by-product of conventional fossil oil production. Whilst hydrogen should not be discarded as a future energy source for aviation it is currently unclear how it could be smoothly integrated into the current aviation network infrastructure. Solar – Sunlight (solar energy) is the primary energy source of our planet. This energy can be captured by a variety of natural or synthetic processes. Plants and other autotrophic (makes organic matter from sunlight and inorganic raw material) organisms capture it using photosynthesis and convert it into chemical form (capturing carbon dioxide and emitting oxygen) to fuel their growth. The energy stored in fossil fuels was originally converted from sunlight by photosynthesis in the distant past and accumulated over millennia. When man-made satellites orbit around our Earth they receive approximately 1,368 Watts per square metre (1,368 W/m2) onto their solar panels when in sunlight. Due to the attenuating (blocking) effects of the atmosphere this is marginally less on ground level. In the middle of a clear day the sun deposits energy of approximately 1,000 Watts per square metre (1,000 W/m2) onto our Earth’s surface . The energy (Watts per square metre) figure for an aircraft in the atmosphere is between these two thresholds and depends on altitude, atmospheric conditions and of course sunlight availability (night-time). 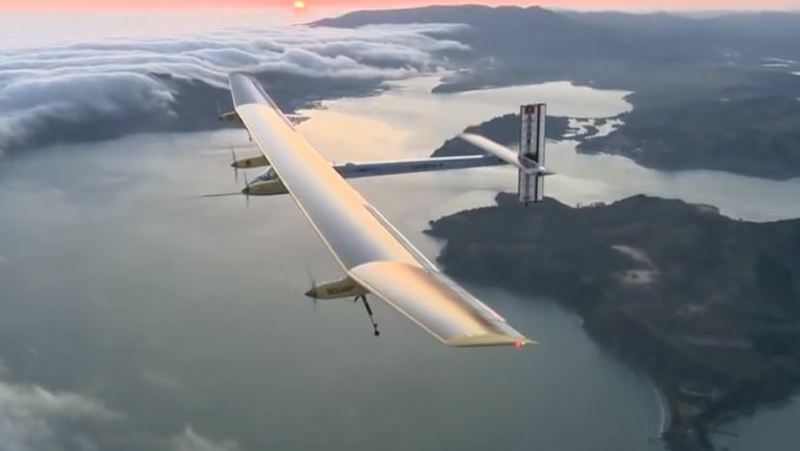 In recent years, numerous solar-electric aircraft have proven the technology possible, such as the Solar Impulse and NASA’s Helios at comparatively very slow speed and with extremely low payloads. With the right rechargeable battery technology on board these aircraft can fly all night and thus have long (multi-day) endurance abilities ideal for loitering in a research or surveillance type role. 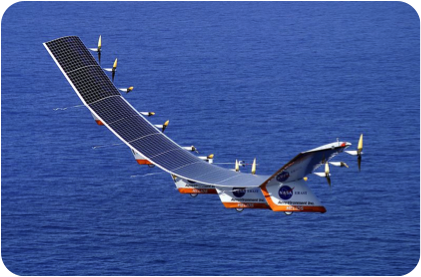 These aircraft capture the solar energy that hits their top surface solar panels and convert it into electrical energy, then into mechanical energy to turn propellers to create thrust. However, if airliners were covered with the hypothetical best photovoltaic film they would not be able to produce enough thrust to enable a global rapid air transport network to operate (at current speeds and with current payloads) simply because our sun does not radiate enough energy per square metre. Here is the logic: All major airports are designed so that the largest aircraft that they can accommodate for taxiing and gate spacing must fit within an 80m2 box. This 80m2 box could receive ballpark 80,000W/s from the sun on a clear day. A Boeing 787 has two Rolls Royce Trent 1000 engines each of which must be able to produce 74,000lbf takeoff thrust, equivalent to 329kN or 329,000W/s. When multiplied by two for the whole aircraft, 658,000W/s is needed; almost 10 times higher than the 80,000W/s theoretically available from the sun if aircraft layout design was pancaked to give maximum upper surface areas and efficiency was 100%. That said it is reasonable to assume that solar power could provide a supplementary power source (reducing fuel use by a few percentage points) for aircraft systems (not-thrust) and that efforts should be made to integrate solar panels into airliner design as they would likely be beneficial from a cost, energy and environmental perspective. after 15 years of testing and significant costs. Nuclear- The concept of nuclear powered aircraft has been in play for decades. During the Cold War between the United States and former Soviet Union both sides worked on nuclear aircraft projects. 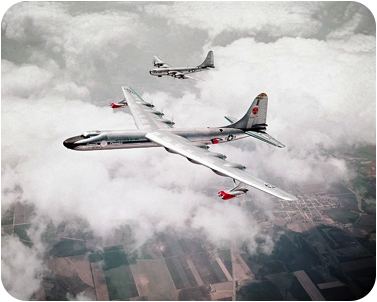 At the time, nuclear was deemed the only feasible energy source that could give aircraft ultra-long endurance – a strategic military benefit for long distance bombers. Both sides were unsuccessful in putting any aircraft into operational service. It was found that there were three fundamental barriers: extreme costs, aerospace engineering limits and safety. Whilst nuclear material running costs per unit of energy are reasonable compared to other energy sources, nuclear energy has an extraordinarily high capital cost, maintenance cost and disposal cost. Due to complex nuclear and aerospace engineering weight considerations the two Super Powers found it impossible to design an aircraft with both a competitive payload capacity and a strongly-secured lead-shielded fail-safe nuclear propulsion system. The final nail in the coffin was that the unacceptable safety risks for the flight crew, passengers and civilians under and around the proposed flight paths. In our modern era of terror alerts and occasional air crashes it is still currently inconceivable that any educated democratic society would allow nuclear-powered Regular Passenger Transport aircraft to operate scheduled flights over their sovereign territory no matter the exact fuel type (uranium, thorium etc) thus the concept of using nuclear as an aircraft power source can continue to be discarded at this point. In officially ending the US nuclear aircraft attempts in 1961 US President John F Kennedy wrote “15 years and about $1 billion have been devoted to the attempted development of a nuclear-powered aircraft; but the possibility of achieving a militarily useful aircraft in the foreseeable future is still very remote". Yes, the extremely low greenhouse gas profile of energy produced from nuclear fuels is very favourable when compared to fossil fuels from a climate change perspective, however, there are secondary issues such as the political and ethical challenges around the fact that mainstream uranium-based nuclear fuel has the potential to be used for weapons of mass destruction. Despite a short term economic and political boost, it is not in any nations long-term best interest to in any way contribute to the proliferation of a nuclear-armed global community by becoming a global supplier of nuclear raw material due to the volatility and risk this presents at a sovereign, economic and existential level. Once nuclear fuel is mined, extracted and exported to another country it has proven virtually impossible time and time again to ensure that it used solely for peaceful purposes such as with energy or medical outcomes. Should a strong nuclear material chain-of-custody and transparency inspections safeguard process be followed in the receivers country it is still extraordinarily difficult to ensure that other nuclear material is not freed-up as a result to be redirected towards weapon programs. A world awash with nuclear material leads to a situation whereby it is simply a matter of time before escalated tensions, negligence, malice or revenge lead to a nuclear exchange of global significance. A world without arms, violence and physical threat is achievable and preferable. Nuclear powered aircraft would not support this desirable future. Coal-to-liquid (CTL) - It is possible to convert fossil coal into synthetic liquid transport fuels. This is not a new technology; in fact it was first achieved in 1913. Despite its technological success the historical reputation of this process was permanently tainted as a result of its use by the Nazi regime in World War II and then by the government in Apartheid-era South Africa to get around politically motivated trade embargoes. The CTL conversion process, known as Fischer Tropsch, is more complex and therefore more expensive than conventional oil extraction and refinery. Whilst coal is an alternative fuel source that could be used widely in jet aircraft it has a much higher carbon-intensity than conventional crude oil meaning it would contribute even more negatively to climate change. 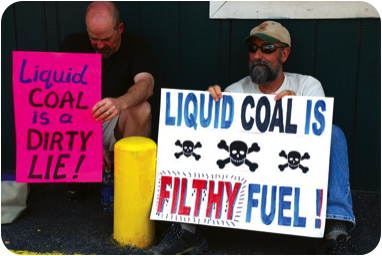 There are also wider negative environmental attributes including the release of embedded mercury, heavy metals and other toxic impurities into the environment, and that producing coal-to-liquid fuels requires significant volumes of water. As a result and when considering the associated inevitable carbon regulation it is easy to see why this option should be discarded as a sustainable option. Additionally, it should be noted that flue gas exhaust from aircraft cannot be used in Carbon, Capture and Storage (CCS) systems as the exhaust is an element of the thrust. When considering coal resource supply sustainability, the Australian Bureau of Agricultural and Resource Economics and Sciences (ABARES) estimates that Australia’s economically demonstrated resources of coal are enough to support approximately 90 years of production at 2008 production rates of 490mt per year. Australia is currently the world’s largest exporter of coal. Gas-To-Liquid (GTL) - It is also possible to convert fossil natural gas or other gaseous hydrocarbons into jet fuel. In recent years this process has been revived by OPEC nations and Super Majors for testing purposes including a fossil GTL demonstration flight by Shell and Qatar Airlines from Doha to London. The carbon footprint of natural gas is similar to conventional jet fuel; however its lower content of sulphur, heavy metals and other toxic impurities is comparatively preferable. Industry backed PR-spin doctors often tout GTL as being ‘cleaner’ and a method to reduce the volume of gas wasted through flaring in fossil oil production each year. This could be logical and publicly accepted if avoiding the fact that the captured gas should historically have been used for traditional purposes as well. GTL is ultimately not a renewable or ‘clean’ option. 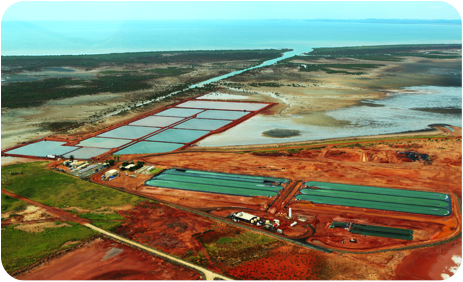 Advances in GTL and its demand would further accelerate the unlocking of shale and coal seam gas deposits. As this method contributes to the extraction of fossil energy resources, accelerates unsustainable economic decisions and negatively contributes to climate change, GTL should not be promoted as an option. Additionally, the carbon regulation that can inevitably be expected provides further barriers to consideration of this as a sustainable option. When considering gas resource supply sustainability, the Australian Government Department of Resources, Energy and Tourism (DRET) estimates that Australia’s economically demonstrated resources of conventional gas are enough to support approximately another 66 years of production and another 145 years of coal seam gas production at 2009 consumption rates. The U.S. Government Energy Information Agency (EIA) estimates there are currently proven global reserves of natural gas sufficient to cater for another 57 years (i.e. 2070) at 2013 consumption rates. Over the past 20 years natural gas consumption has increased at a rate of around 2.5% per year, which could reduce that time to around 2048. A US Geological Survey scientifically estimates that even including all as yet ‘undiscovered’ natural gas reserves could boost this 2048 timeline to just 2064. On-board Wind – Occasionally it is erroneously suggested by laymen that airplane manufacturers should adopt wind turbines into aircraft design as a primary source of energy. They often explain that this is because they have seen use of deployed airline Ram Air Turbines (RAT’s) during Air Crash Investigations type television programs or similar. Unfortunately this suggestion shows a gross misunderstanding of basic laws of physics. RATs (mini-wind turbines) are used on most large aircraft as a last resort electrical power source, only when all aircraft engines have failed, in order to provide minor volumes of critical power to emergency systems such as hydraulic aircraft control surfaces, electronic avionics and communications systems. They create power by extracting kinetic energy from airflow (which creates drag) as the aircraft glides toward the ground, and convert it into mechanical energy and then into useful electrical and hydraulic energy. Due to the laws of physics a wind turbine cannot create more energy (as thrust) than it extracts from the airflow, thus it is physically impossible to create primary thrust for an aircraft using onboard wind turbines. That said, it is theoretically sensible (ignoring weight penalties) for wind turbine generators to be deployed for energy recovery during normal descent in the place of air brakes (speed brakes) that otherwise waste the energy overboard. The energy recovered could be used to charge batteries or for onboard electrical systems. 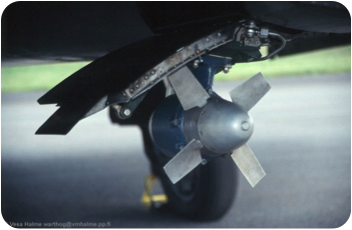 Equally, intuitively it is theoretically sensible for regenerative braking systems to be installed in wheel hubs for slowing the aircraft during the touchdown phase of flight and creating electricity in place of braking and reverse thrust. Finally, we must explore Sustainable Aviation Fuels which were identified as having the highest merit of all theoretical renewably energy options for air transport. In conducting its service a sustainable air transport system should most ideally require just three resource inputs: recycled waste streams, augmented terrestrial energy from the sun (primarily based around wind, hydro and solar sources) and atmospheric air. Similarly, a sustainable air transport system should have just three resource outputs: captured recyclable waste streams, clean atmospheric air and clean water. Fortunately, we are already part way towards this goal; developments in science and technology in recent years have provided the aviation sector with dozens of ‘more-sustainable’ aviation options covering all aspects of the transport service that are environmentally friendly, more convenient and often already cheaper. Many are simply just waiting to be broadly implemented. Sustainable Aviation Fuel (SAF) has been proposed as the preferred core renewable energy solution for air transport. SAF is the most practical ‘drop in’ solution, as it does not require the significant reengineering or dumping of the worlds current aircraft/airport system, including the $4.5 trillion global aircraft fleet. A solution that does require a significant change to the aircraft/airport system would likely itself disrupt the global economy and be politically nigh impossible to be approved. It would be far more difficult to step change the world’s aviation energy infrastructure compared to stationary energy supply sources (electricity power stations). SAF is the name given to advanced aviation biofuel types used in jet aircraft and certified as being sustainable by reputable independent bodies such as the Roundtable of Sustainable Biomaterials (RSB). This certification is in addition to the safety and performance certification, issued by global standards body ASTM, that all jet fuels are required to meet in order to be approved for use in regular passenger flights. The SAF industry needs to be calibrated for true rigorous sustainability from the outset, with an unbending baseline. Products that are born with rigorous sustainability in mind are much easier to create and make profitable than trying to shift unsustainable products that have since been made towards sustainability. Continuing efforts must occur to ensure that these certifying bodies use the dictionary definition of “sustainable”, e.g. eternity as their base timeline rather than weak and untrue “10”, “25”, “50” or “100” year ‘definitions’ as are often proposed. All SAF fuel must at the very least comply with the industry endorsed SAFUG pledge in order to be considered for airline purchase. Not all biofuels are created equal. The term SAF cannot be associated with unsustainable biofuels, particularly so-called First Generation biofuels (which utilise food crops as biomass feedstock). 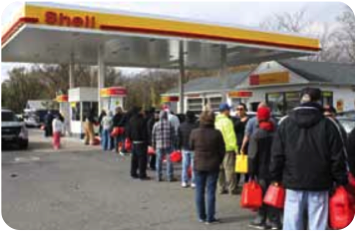 Short-term orientated unsustainable First Generation biofuel proponents have repeatedly hijacked the public narrative around the term biofuels to the detriment of sustainable advanced biofuels. Similarly to the fossil fuel industry, it is expected that the First Generation biofuels industry will inevitably eventually lose its social licence to operate. Similarly, so-called Second Generation biofuels are also concerning from a sustainability perspective. They use a wider variety of biomass feedstock’s that do not include food crops but often have other unsustainable traits such as using massive volumes of fresh water, needing fossil-based fertilisers in production or contributing to deforestation, sometimes through Indirect Land Use Change (ILUC). SAF needs to build its own high-integrity and visionary reputation in the public domain. The SAF industry needs to bake in environmental sustainability as the foundation of its product. Both, the airline industry and SAF industry need to educate the community about the differences between biofuel types. If this does not occur the SAF industry is equally at risk of failure due to lack of community support, ongoing business uncertainty and neutral or potentially punitive government regulation. Critically the embryonic SAF industry needs environmental advocates to endorse its conceptual model and it needs environmentally conscious consumers to be the early adopters of any product available on the market. Sustainable SAF feedstocks broadly fit under two key theme headings: algae based or societal waste stream, explained below. 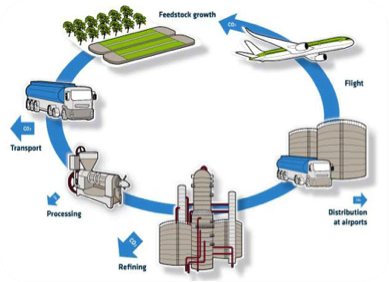 Concept Case study: Societal waste stream based SAF - SAF production systems utilising societal waste streams as the biofuel feedstock can also produce a sustainable solution (except unless the input waste stream itself is eliminated through a revolutionary process improvement). These waste streams occur under six main categories: Agricultural Food Crop Wastes, Waste Flue Gases, Municipal ‘SAF suitable’ Wastes to Landfill, Landfill Waste Gas, Sewage Waste Gas and Forestry Waste Residues. These societal waste stream feedstocks would be received from upstream sources either in conjunction with a beneficial at-gate disposal fee (similar to the usual rubbish tip fee) or at zero cost. It is noted that government legislation will be needed to ensure that societal waste streams are not sold into the SAF production system as this would create a perverse incentive that would actually encourage waste from the upstream supplier whilst discouraging the use of that waste stream in SAF production. Whilst effectively infinitely sustainable for terrestrial societal waste streams (such as Plantation Forestry Waste Residues), SAF production does not ‘close the loop’ on fossil-based waste streams (such as Waste Flue Gases), but it is a massive step in the right direction by reusing fossil-based waste streams before they are otherwise pumped into the environment, in doing so avoiding unnecessary fossil fuel extraction. It is predicted that a mega-trend will be seen to occur over the coming century that will cause many societal waste streams to plateau in volume and then decline via waste discouragement mechanisms and efficiency gains. 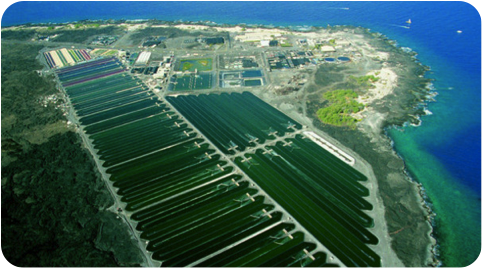 As this trend occurs an increase in preference towards sustainably produced algae biomass designated for SAF will take place. Thus it should be recognised that societal waste stream based SAF will not be a solution that is available infinitely. Agricultural Food Crop Wastes (Also known as crop residues) - These are the unusable biomass byproducts created during the production of raw foodstuff commodities. For instance, when growing a fruit, grain or vegetable an entire plant will be grown. The excess plant biomass will usually be abandoned in the field after the desirable food portion is harvested. Typically this waste is allowed to compost where it lies, is burnt-off or is tilled back into the soil. 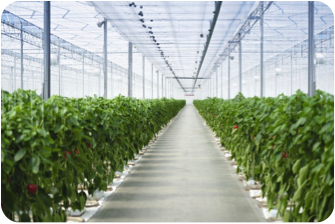 In doing this it creates benefits such as maintaining soil nutrients and helping control soil erosion but it also creates some negatives, such as creating a mineral imbalance and releasing greenhouse gases back into the atmosphere that had been favourably absorbed during the growth phase. A balance must be struck. It is desirable to maximise the benefits and minimise negatives. 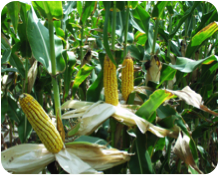 Due to the required benefits not all crop residues could be collected for the purposes of biofuel production after the foodstuff portion has been harvested. Agricultural sustainability testing needs to be conducted to evaluate the percentage threshold limits of the amount of biomass that could be removed from any given location for any given crop before the benefits (such as providing a sustainable return of nutrients to the soil) is degraded. Excess nutrients in the soil can be washed away, ending up in rivers, lakes and oceans causing negative eutrophication. 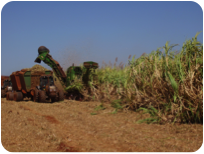 Crop bagasse is the fibrous material that remains after the stalks of sugar cane or sorghum are crushed to extract the desirable juices. This bagasse can be used for fuel or paper production. 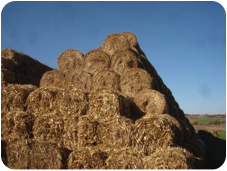 In Australia sugar cane bagasse (post production residue) and sugar cane trash (field residue) is increasingly used as a fuel at sugar mills for heat and electricity production utilising cogeneration systems. Any excess electricity produced is typically exported to the grid. Investigations need to be completed to establish the best uses for this resource, including for use in biofuel production. The technology exists to convert this organic material into biofuels. significant residue waste that left to rot in situ. without any possibility for capture and harnessing. bagasse is also inevitably created. Waste Flue Gases – These are the mega-volume gas emissions produced at stationary locations by industries such as steel manufacturing, oil refining, electricity and chemical production. Traditionally these have been pumped into the atmosphere at no financial cost (or benefit) to the industrial project owner. Technology now exists to convert these greenhouse gases into liquid transport fuels. New Zealand based company, Lanzatech, is one of the pioneers re-employing this waste type. Lanzatech is most interested in carbon monoxide rich gas streams to feed their propriety microbe technology. Additionally, carbon dioxide rich waste flue gas streams can supercharge the growth of most biomass types, particularly those with a high-ratio of surface area to plant material, such as algae. Municipal ‘SAF suitable’ Waste to Landfill – These are the municipal wastes that typically have biomass origins such as paper, cardboard, garden wastes, food related-wastes and urban timber (from construction and demolition) and plastic compounds (fossil or biomass based). Instead of disposing them in landfill where they will decompose over decades producing products that include methane and carbon dioxide and risk potentially leaching undesirable compounds into groundwater, they can instead be diverted during advanced waste treatment and separated from metals and minerals. Those separated municipal waste streams, such as virgin paper and most plastics, that can be recycled into comparatively higher value products with minimal effort should be recycled, whilst lower order waste streams (including “end of life” repetitively recycled mixed plastics/papers that are unsuitable for recycling again) may be directed towards plasma gasification pyrolysis for conversion into syngas. This waste stream is the feedstock to be used in the Solena & the Oxford Catalyst Group’s $500m deal with British Airways for jet fuel. From a triple bottom line sustainability perspective recycling the components in this waste stream for higher value goods is preferable to using them for combustion as liquid transport fuels so government intervention may be required to ensure items like non-“end of life” plastics are recycled as the priority. Landfill Waste Gas – This is the gas (predominantly methane) generated as the solid organic components of landfill waste break down over time. This gas can be captured and combusted for direct energy production or more preferably reformed into liquid transport fuels, most preferably SAF. The most widely used conversion process is known as Fischer-Tropsch process. This conversion process was first pioneered at industrial levels during World War II by Germany who were at the time embargoed by the Allied military powers from accessing foreign fossil oil. To overcome this, Germany employed the Fischer Tropsche process coupled with their available domestic coal resources to create liquid fuels. Landfill gas is only available until the organic waste component has fully composted over a period, typically up to 100 years. As such, it is predicted that as the world continues to shift towards 100% recycling and sustainability that landfill waste gas resources will plateau and then decline. Additionally, landfills could theoretically become a resource to be mined to create higher value goods also reducing landfill waste gas supplies over the long term. Thus whilst landfill waste gas is environmentally favourable to fossil fuels, it must also be considered to be a finite resource with around a 100 year life expectancy. With this period in mind, government intervention specifically favouring this resource should be commensurate. Converting landfill gas to energy or flaring it (to convert the methane to carbon dioxide reducing its greenhouse potency) has been conducted in Australia for many years. One of the Australian leaders in this field is LMS Energy, founded back in 1982. 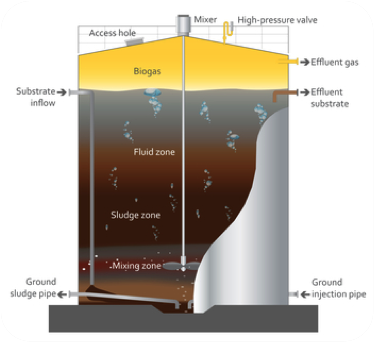 Sewage Waste Gas – This is the methane emitted from the solid organic components of sewage that can be collected by water utilities and livestock farmers to produce bioenergy. 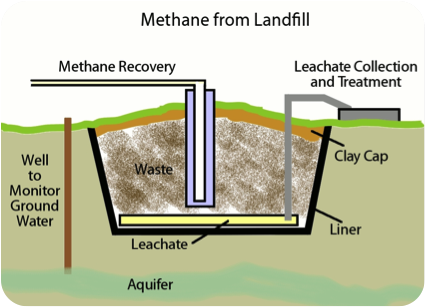 Methane is a very potent greenhouse gas that is readily produced when sewage decomposes within anaerobic digesters. Large consolidated volumes of sewage are produced in urban areas and also locations with high intensity animal farming such as cattle feedlots and piggeries. The Fischer-Tropsch process, as mentioned above, can be used to convert methane into liquid transport fuels. on the ground that could be used for SAF. 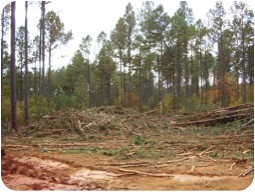 Forestry Waste Residue – This societal waste stream consists of the branches, leaves, twigs, sawdust and off-cuts that remain after the valuable saw logs have been harvested and extracted. This waste stream can theoretically come from plantation or old growth forest. Often logging coupes are burned after harvest to clear the land. This burning wastes a large untapped energy resource. It is not sustainable to continue to cut down finite and biodiverse old growth forests thus this activity should not be incentivised by the introduction of an ancillary revenue stream for old growth forestry sector from the sale of this woody waste to the biofuels industry. Thus, in order to remove this perverse incentive, legislation must be enacted to require that the old growth forestry sector give the biofuels industry access to this waste stream carefully and free-of-charge. Now we understand the basics of sustainable aviation fuels and a couple of examples let us consider the energy security benefits of such a product. Affordability is the provision of energy at a price which does not adversely impact on the competitiveness of the economy and which supports continued investment in the energy sector . Airlines that push now to diversify their energy supply will improve their business resilience and have a strong competitive position should a traditional jet fuel supply disruption occur, as historically happens from time to time. 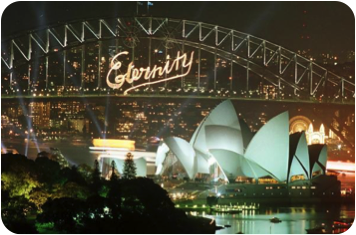 To illustrate this point of energy security issues using Australia as an example, a Liquid Fuels Vulnerability Assessment produced for the government's Department of Resources Energy and Tourism uncovered that the country only has liquid fuel stockholdings 71 days. 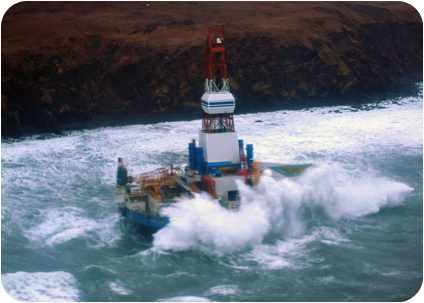 The International Energy Agency recommends an absolute minimum buffer of 90 days. A leading automotive body in Australia released a report exposing that should Australia’s liquid transport fuel supply chain suffer an major disruption such as war, economic turmoil or natural disaster (especially impacting Singapore) then liquid fuel supply to the general public motorists would run out within three days and total Australia wide supply would run out within three weeks. The time horizon of this risk is relevant to all airlines operating in Australia. This echoes the position of the Australian Institute of Petroleum’s report Maintaining Supply Reliability in Australia which argues the country does not maintain a large enough strategic oil reserve or a suitable volumes of excess tank storage capacity should stockpiling be required at short notice. It suggests that unwittingly over time the Australian Government has given almost complete control of the country's liquid fuel supplies to private companies that operate with an efficiency prioritised “just in time” mentality and with no obligation to or interest in maintaining reserves for national security purposes. Similar to many countries, Australia’s crude oil feedstock is predominantly sourced from the Middle East and refined offshore. The energy security risks from a sole reliance on fossil crude oil are clear. As one of numerous examples to illustrate this, in 2011 former Saudi oil minister Sheikh Yamani said that if the underlying political discontent remained unresolved in Saudi Arabia global oil prices will rise rapidly. "If something happens in Saudi Arabia it will go to $200 to $300 [per barrel from current levels]. I don't expect this for the time being, but who would have expected [the Arab Spring in] Tunisia?". Access to cheap energy has become essential to the functioning of modern economies. However, the uneven geographic distribution of fossil energy supplies among countries has led to significant vulnerabilities for some countries, whilst windfall gains for a small handful of others. Renewable energy resources exist over wider geographical areas including wherever the sun shines, the wind blows or rivers flow. 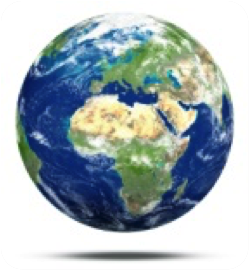 SAF production can occur almost anywhere on Earth. The broad scale deployment of this renewable energy solution would result in significant energy security and economic benefits to all countries in the long-term. Renewable energy producers consume comparatively few natural resources for development and operation per unit of energy. Renewable energy technologies are constantly improving in efficiency and costs per unit of energy are rapidly decreasing. Conversely from a purely economic perspective the fundamental cost of fossil based energy units can only trend upwards over the long term as that resource base heads towards eventual exhaustion and extraction becomes more and more difficult. At some point in the not too distant future grid parity will occur. To align with the urgency of climate science, this crossover point must be bought forward via all available means to as soon as possible. Based on current science, Sustainable Aviation Fuel really is the best future energy option to power the global airline fleet. In conclusion, Sustainable Aviation Fuel will solve the biggest piece of the puzzle for airlines in regards to the sustainability grand challenge. The other pieces will also need to be solved. Fortunately we know it can be done with optimism and determination, the complexity lies in lining up all the pieces to make it so. The air transport sector needs to actively play its part for it is in its interests to do so in both the short and long term. We all agree that our world needs a high-speed long-distance transport system that is safe, convenient, flexible, resilient, socially acceptable, affordable and environmentally sound. We need to regularly remind ourselves of this long-term objective. We need to agree that this has to be achieved with a sense of urgency. We need to agree how to reach this goal. 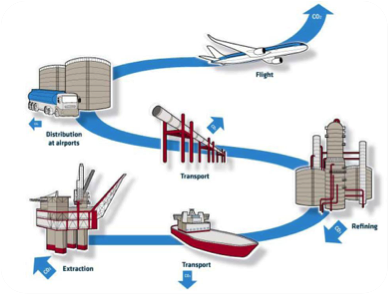 Similar to preparing for any major project or considering future moves in a game of chess, the route to achieve a sustainable air transport system needs to be gamed out and planned now to ensure we take the right actions and choose the right policy settings to create a stable and achievable transition plan that will achieve the desired result. We cannot be continually changing the rules with each election cycle, introducing business uncertainty blocking investment, development and progress. It is forethought and consideration that allows us to see the relevant emerging issues that need to be integrated into our workable solution. In the not to distant future the continuation of exponential emissions growth and overconsumption of finite natural resources by any nation, industry sector, company or individual whilst others reduce theirs will not be morally acceptable to the global community. It will exacerbate instability in global societal cohesion and apply further downwards pressure on our global economy. No one will be given a free pass or the authority to ride on the coat tails of others. As a global society we will increasingly question how we measure our success as stewards of the planet. The eventual realisisation that reducing the capacity for future generations to enjoy the world as we have enjoyed is unjust. The sustainability grand challenge will be seen for what it is; both an existential risk that should transcend politics but equally as the greatest wealth generating opportunity of our time. This grand challenge should unite humanity into action. 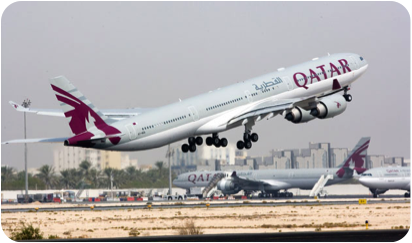 The inevitable global community reaction to this grand challenge should be foreseen by airlines as an opportunity for an early mover competitive advantage. The rules of the game are set to change. It is time to act towards this goal. The longer we wait to upgrade our air transport system the overall urgency, difficulty, risks and costs simply increase.